Submitted by FaerzressSparkles on 2017-06-23 17:22. 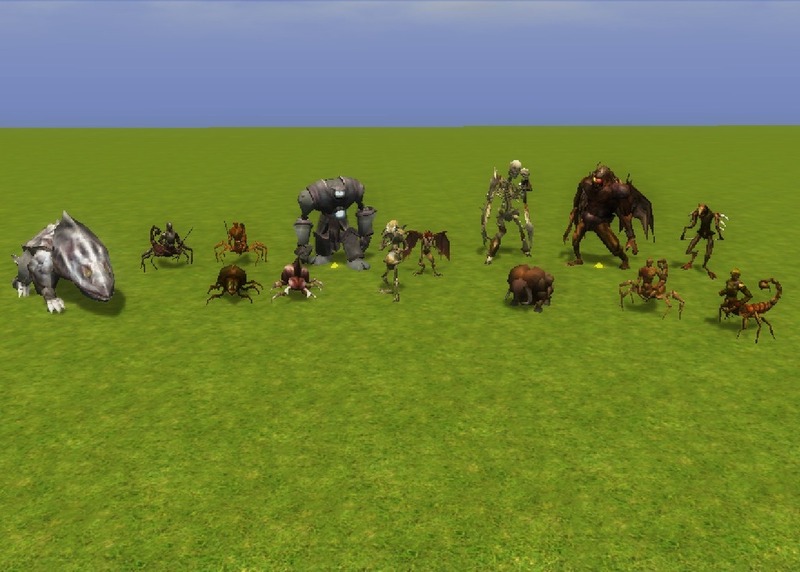 Here are the files for my creature conversions from NWN1. You will have to make your own 2da in order for these to be compatible with your own mods for now. Enjoy! The work on these is a year or more old, I will add the others as time permits. Inform me if you use these for your own projects, I would like to hear from people who benefit from these. Also be sure to give me credit for these when you use them. Thanks, and enjoy! They are in there now! Actually, I was the first to port these over long ago, I just did not get to releasing them until now. The textures for the beetles are missing. The weapon attachment points for the stinger mage are outside the hand, and not correctly centered for the stinger chief. The stinger warrior does not display a shield if equipped. The attachment points are oriented incorrectly (they hold their weapons facing the wrong direction in combat). I have attached some screenshots of how it looks ingame. Thanks, Kamal! I will fix those issues in the next release. Any ETA on when the beetle textures might be added? Would love to add in those beetles.